Lately eating out decreased and increased at the opportunity when people invite friends home for a dinner. You don’t have enough chairs? No worries. 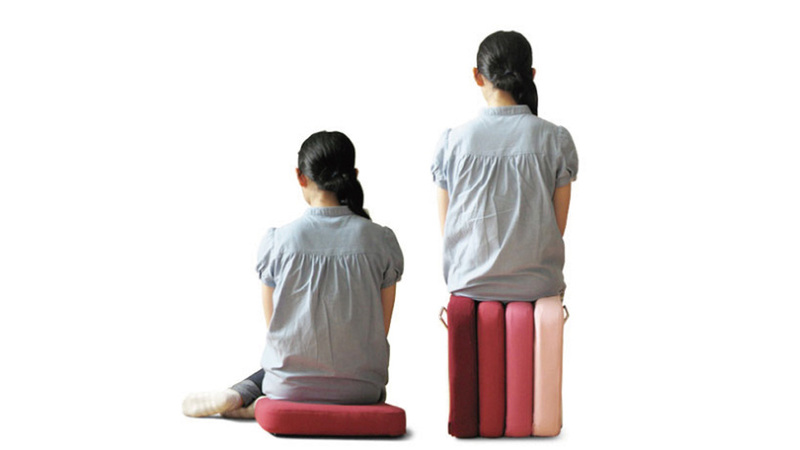 This stool divide into four pieces of floor cushions, you can offer your visitors hospitality. 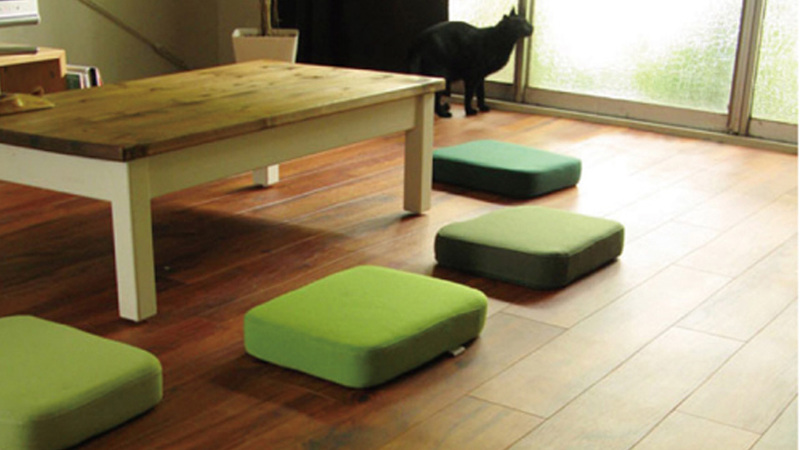 I designed in 2007 at ideaco. for Cliant.